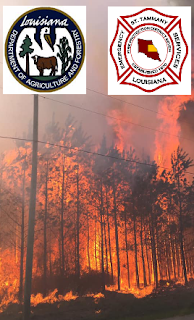 Bogalusa Rebirth Community Development Corporation is overjoyed to announce that we have passed all the threshold requirements for our first $30,000 Affordable Housing for Rural Veterans (AHRV) grant to build and/or preserve housing for Veterans. This grant will be used as a match contribution to our upcoming project that we’ve partnered with Louisiana Housing Corporation and Enterprise Community Partners to include the construction of our first (3) single-family homes to include lots that have been donated by the City of Bogalusa, through our Cooperative Endeavor Agreement. This grant was made possible through our partnership with Housing Assistance Council (HAC), as a RCDI recipient, and The Home Depot Foundation. 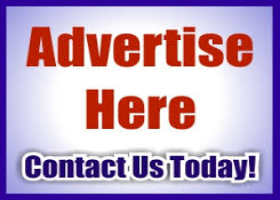 As a local non-profit and certified Community Housing Development Organization (CHDO), we are being provided financing, training, research and technical assistance to help us increase our capacity and allow us to better serve our community. HAC’s Veteran-focused efforts is an initiative that provides grants to community-based organizations to build housing and improve the ability to build and repair housing for Veterans. 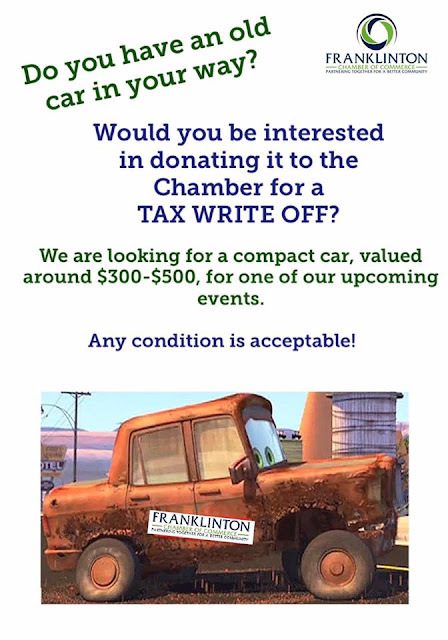 If you would like copies of the application delivered to a location, please send me a request. shooting death of 13-year-old Robert Stevenson of Natalbany. 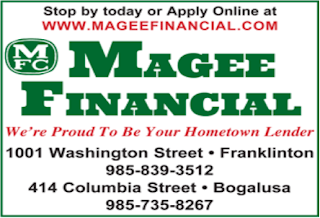 Thursday night (April 18, 2019), at approximately 9:40 p.m., TPSO was notified that a large disturbance had taken place outside of a residence on Magee Road in Natalbany that resulted in gunfire. The victim was struck in the chest and later succumbed to his injuries at a local medical facility. Rickey Nelson (54) of Independence has been charged with manslaughter. Additional charges and arrests are believed to be forthcoming. "I would like to take this opportunity to announce my candidacy for re-election for Sheriff of Tangipahoa Parish. Serving as your Sheriff for the last 15 years has sometimes been challenging, yet it has always been one of the most humbling and rewarding experiences of my life. While our Sheriff’s Department is one of the least funded in the state (per capita tax received), under my administration we have made huge strides as a department. From providing significant pay raises, implementing advanced records management and CAD systems, installing laptop computers in all patrol cars, having currently the newest and best maintained fleet of vehicles in the department’s history, to providing up to date training for both sworn and civilian employees, to seeing a reduction in crime across ALL categories reported in the Uniform Crime Reports last year, we are building a Sheriff’s Department you can all be proud of. 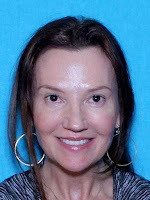 Wednesday (April 17, 2019) to indict Jennifer P. Robinson (53) of Covington on three traffic violations—careless operation of a vehicle, making an improper turn, and no seat-belt—in an car accident that resulted in the death of an off-duty police officer last year. The grand jury decided the evidence did not support a negligent homicide charge. 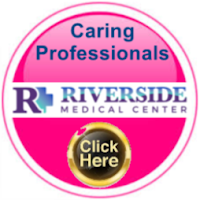 Robinson was making a left turn into a private driveway on Louisiana Highway 1082 (Old Military Road) from the northbound lane on August 25, 2018, when she collided with a motorcycle traveling in the southbound lane. The driver of the motorcycle was Ricardo Silva, Jr. (26), a New Orleans police officer, who died from injuries he sustained in the accident. 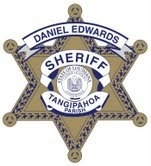 Tangipahoa Parish Sheriff Daniel Edwards reports that the TPSO is investigating a fight that took place in the parish jail in Amite last night (April 16, 2019) that left four deputies with injuries. Early yesterday evening, tempers began to flare up in a dorm housing multiple offenders that quickly escalated to a fight between a handful of inmates. TPSO Corrections staff immediately responded and diffused the situation. Moments later, several offenders turned on corrections staff resulting in four deputies receiving minor to moderate injuries. Additional responding deputies assisted in neutralizing the situation and regaining order. No offenders were injured during the incident. "We are investigating the situation now to better determine the root cause and to determine how we can minimize it from happening again," Edwards says. “Our primary goal is safety - the safety of our staff and detainees. Our facility houses some offenders who have a history of violence both on the street and behind bars, a dangerous situation for deputies trying to restore order,” he continued. All four deputies were treated for their injuries and released. Sheriff Edwards appreciates the commitment to public safety of all his employees. This incident is a reminder that not only the men and women who serve in an enforcement capacity face danger day in and day out in their jobs. "My corrections staff has a very difficult job to do and sometimes they have to put their safety at risk to try and protect inmates from one another as in this incident, and several were injured. I truly appreciate their dedication and commitment to the jail operations," says Edwards. A full investigation in underway. No charges have been placed at this time, however criminal charges on offenders are believed to be forthcoming as the investigation continues. beat and stabbed a neighborhood dog. 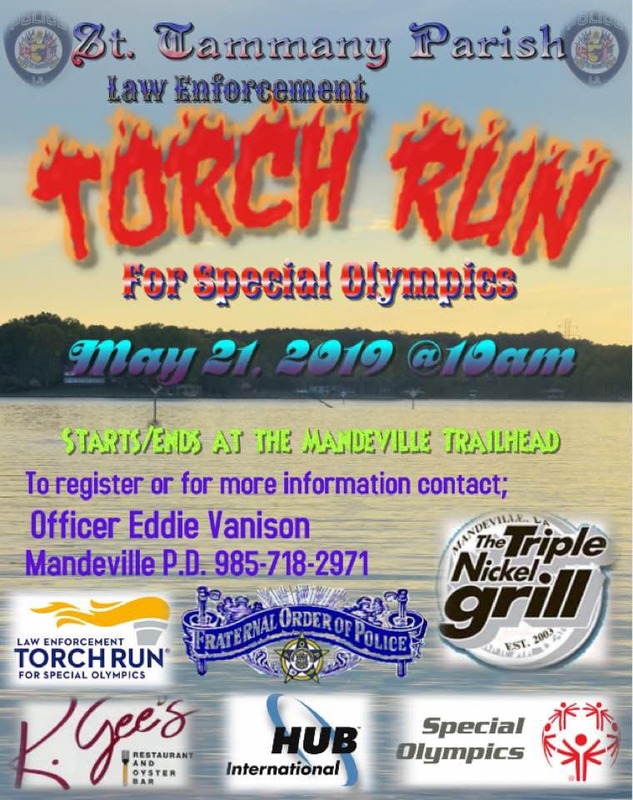 St. Tammany Parish Sheriff’s deputies were responded to the report Sunday afternoon (April 14, 2019) to a residence on America Street near Mandeville. Deputies learned that a boy was out selling candy in the neighborhood when a small dog that was properly restrained on a porch at the residence on America Street bit him, causing a minor injury. After being bitten, the boy told Forstall, a relative, about the incident. Forstall then went to the residence and beat and stabbed the dog with a fishing gaff, causing serious injuries to the dog. progress on Darby Drive off Rosewood Drive near Folsom on April 15, 2019. Deputies located a black male, approximately 5’11 to 6’1 hiding inside the residence. The individual fought with deputies and escaped. He was last seen running toward the area of Chenel Farms. STPSO deputies, along with officers from the Folsom Police Department, troopers from State Police and representatives from the U.S. Customs and Border Protection set up a perimeter in an area where they believed the subject was hiding. Well, STPSO K9 Thor located him Monday night (April 15, 2019). Afterwards, Dakota Cyprian (25) of Folsom was transported to a local hospital, where he was treated for a dog bite. 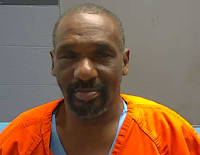 Upon his release, Cyprian was booked into the St. Tammany Parish Jail on the of Resisting a Police Officer with Force or Violence (3 counts), Aggravated Burglary with Battery, and Attempt to Disarm a Police Officer. The investigation is ongoing, and additional charges are possible. 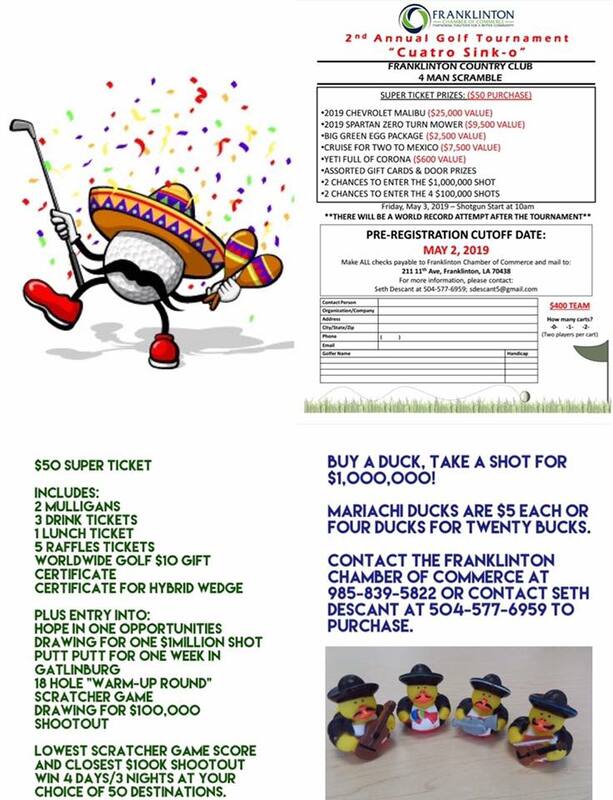 In early April, 2019, the Tangipahoa Parish Sheriffs Office were investigating multiple residential burglaries that occurred on Saucier Road in Ponchatoula. Video surveillance footage from one of the residences assisted detectives in identifying Gordon as a suspect, resulting in an active warrant for his arrest. 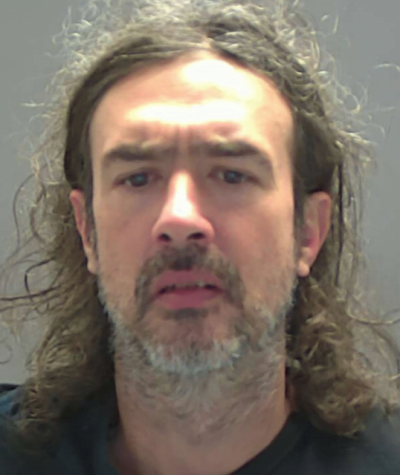 On April 4, 2019, Gordon eluded arrest by fleeing from deputies during an attempted apprehension. 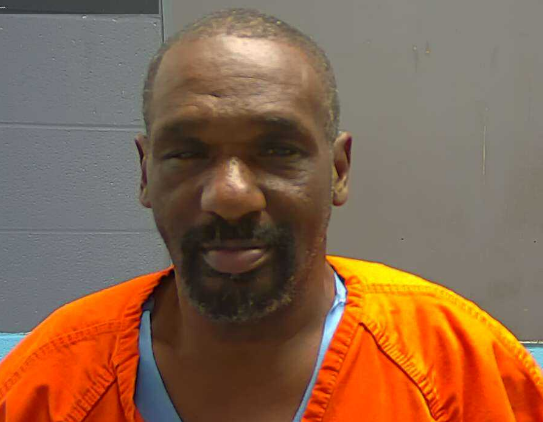 Then, on April 9, 2019, Gordon was reported to be trespassing, while allegedly casing another property to victimize on Saucier Road. After contacting the sheriff's office, the complainant attempted to make contact with Gordon. Gordon fled on foot as the complainant chased behind him, subsequent leading to Gordon's apprehension and arrest. Gordon reportedly later confessed to committing multiple residential burglaries on Saucier Road. Gordon was booked on the charges of Home Invasion, Aggravated Burglary (3 counts), Attempted Burglary, Criminal Trespass (2 counts), Felony Criminal Damage to Property, Resisting an Officer by Flight On Foot (2 counts), Possession of a Schedule I Controlled dangerous Substance/Heroin and Possession of Drug Paraphernalia. Tangipahoa Parish Sheriff Daniel Edwards is asking for the public's assistance in locating wanted suspect Walter Johnson, III (39) of Kentwood. 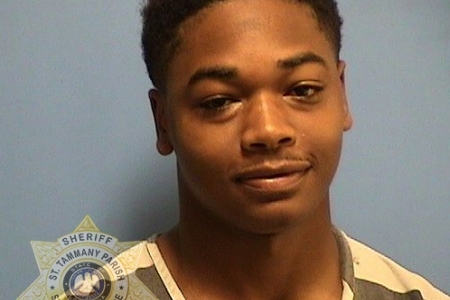 Johnson is accused of participating in an armed robbery that occurred on August 13, 2018 at the Happywoods Market and Deli in Hammond. Johnson is identified as one of two subjects that perpetrated the robbery while armed with a pistol. Johnson is wanted by the TPSO on the charges of Armed Robbery, Simple Battery, and for being a Convicted Felon in Possession of a Firearm. Anyone with information on Johnson's whereabouts is asked to contact Crime Stoppers at 800.554.5245. Detective Dale Athmann is the lead investigator on this case. Johnson is a black male and is described as being 6"3" in height, approximately 185 pounds, with black hair and brown eyes. reportedly broke windows out of and caused damage to several Covington/Mandeville area businesses and a family residence located in Mandeville. Late Saturday night (April 6) and into Sunday (April 7) and Monday (April 8), the STPSO received reports from multiple businesses located along Hwy. 190 in Covington, Hwy. 59 in Mandeville and a Mandeville resident, that an unknown perpetrator had propelled some type of projectile into the glass windows of each business and the residence causing extensive damage to glass-work. 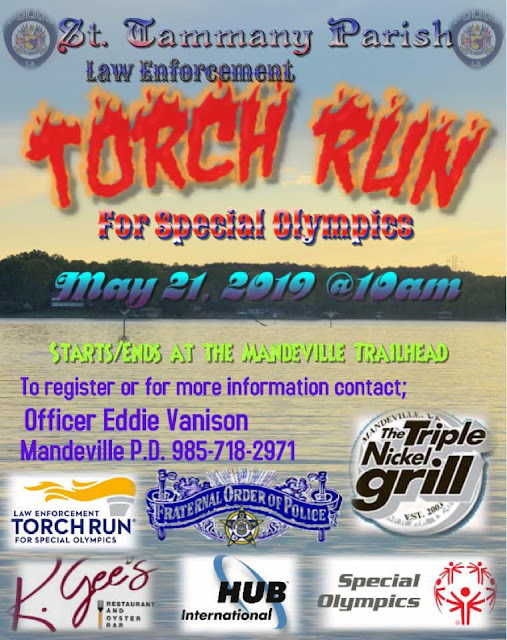 Surveillance video of a vehicle seen near several of the businesses shortly before the damage occurred led the STPSO to the Mandeville home of Pratt. 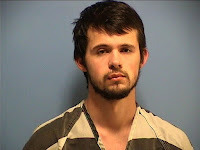 Jacob Pratt was arrested without incident on April 12, 2019 and booked on the charges of Felony Criminal Damage (2 counts) and Misdemeanor Criminal Damage (4 counts). Anyone with information about these crimes or who believes they may have been a victim is asked to contact Detective Moreno at 985-276-1331 or 985-898-2338.
robbed at gunpoint in a rural area of Folsom on Tuesday evening (April 9, 2019). The victim had made plans to meet with an acquaintance, who he identified as Cameron Perry (19) of Folsom, so the two could shoot guns. While the two were at the arranged location, a third individual got out of Perry’s vehicle holding a handgun and approached the victim. After robbing the victim of two firearms, Perry and the unidentified man left in Perry’s Dodge Charger. Tuesday night, STPSO detectives located the vehicle in Covington and Cameron Perry was taken into custody without incident. At the time of his arrest, Perry was found to be in possession of Xanax and marijuana. He was booked on the charges of Armed Robbery, Armed Robbery with a firearm, Possession of Schedule IV CDS, and Possession of Schedule I CDS. Tangipahoa Parish Sheriff Daniel Edwards warns residents of a car thief or thieves are targeting unsuspected gym patrons. 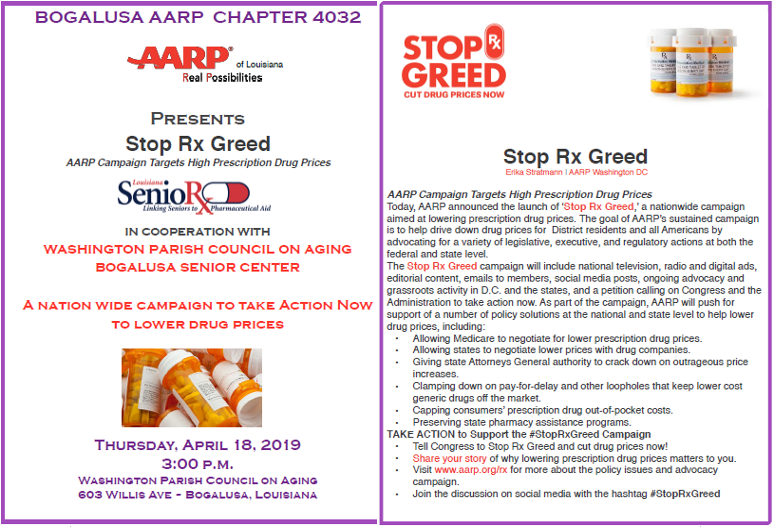 It began on April 2, 2019, as the TPSO and the Hammond Police Department began receiving multiple complaints from citizens reporting that their credit or debit cards were taken from their wallets and used to make excessive unauthorized purchases. It has been discovered the perpetrator(s) primarily targets elderly men who are going to the gym during the early morning hours. However, please don't be fooled. Thieves don't discriminate and anyone could be a target. The investigative findings of these investigations have lead detectives to the unknown female in the attached photos. There are indications that the unidentified female is connected to these investigations. There is reason the believe she is a resident of Jefferson Parish and may live in the Westbank area. 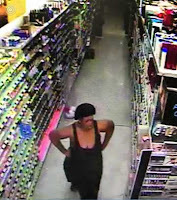 If you recognize her or have information related to these crimes, please call Crime Stoppers at 800-554-5245. It's EASY and they pay in CASH. You aren't even required to give your name to be eligible to receive a cash reward. The Tangipahoa Parish Sheriff's Office would also like to remind residents to please lock your car doors and if you must leave your valuables behind, hide them. The best thing to do while going to the gym is to carry your belongings with you and place them in secured locker. We Have More News on our Facebook page! 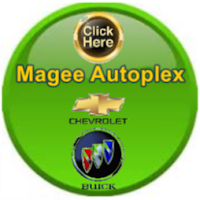 Click on "Our Facebook Page" above for more news! introduction of illegal narcotics into the Tangipahoa Parish Jail. Slash was tasked with conducting free air sweeps on vehicles as they entered the jail property for inmate visitation. While conducted the sweeps, Slash alerted on a vehicle for the presence of a narcotics odor emitting from the vehicle. Occupying the vehicle at the time were Martha Reed (50) of Mt. Hermon and Canekia Robertson (30) and an infant. Agents searched the vehicle and discovered a quantity of suspected marijuana. Agents believe the females were going to attempt to smuggle the suspected contraband into the jail. Reed and Robertson were placed into custody for possession of CDS I, possession of drug paraphernalia, introduction of contraband into a correctional facility, and child desertion. Robertson was also charged with an outstanding warrant. The infant child was released to a family member by the Louisiana Department of Children and Family Services. TPSO K-9 Slash is a one -year- old Fox Red Labrador Retriever who is trained in narcotics detection. Slash was purchased using funds that were previously seized and awarded to the the sheriff's office through the illegal distribution of narcotics throughout Tangipahoa Parish. K-9 Slash is currently assigned to the narcotics division to assist in narcotics related investigations. “The funds seized from local drug dealers and awarded to us are actually being used to buy assets and equipment that make our job easier,” said Sheriff Edwards. 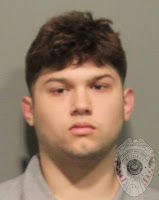 The Slidell Police Department advises that a high school student was arrested Tuesday afternoon (April 9, 2019) after placing a camera underneath a teacher’s skirt and then disseminating the video through social media. The teacher, who was busy helping another student, was unaware of the incident until later that day. When the victim was made aware of the video, a complaint was filed with Slidell Police. Investigators identified John Zeringue, III (18) of Slidell as the person responsible for taking the video. Zeringue reportedly later admitted to the incident and was arrested for Video Voyeurism (felony). Alton-area business early Tuesday morning (April 9, 2019). Shortly after midnight on Tuesday morning, a 14-year-old and 16-year-old broke the front glass of a business on Highway 11 in Alton. During this incident, the duo stole more than $460 worth of cigarettes and tobacco products. Shortly thereafter, the two teenagers were caught on surveillance, stealing an exterior camera and ice from another nearby convenience store. After receiving an anonymous tip, STPSO detectives located the teenagers in the nearby Eagle Lake Trailer Park Tuesday afternoon. They were attempting to give away what remained of the stolen cigarettes and tobacco products after smoking some of the stolen merchandise. Both teenagers were arrested and booked into the Florida Parishes Juvenile Detention Center on the charges of Business Burglary, Criminal Damage, and Theft. 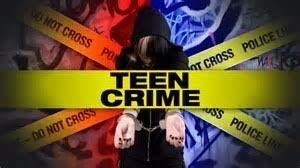 The 14-year-old was also booked for Drug Law Violation after he was found to be in possession of marijuana. The St. Tammany Parish Sheriff’s Office has arrested a Slidell-area couple, Kevin Scott (28) and Samantha Hotard (27), on charges related to cruelty to a juvenile following the death of their three-month-old son. On Monday (April 8, 2019), the STPSO was contacted to conduct an investigation into the death of a three-month-old male child who was found unresponsive in a Slidell-area home. The child was transported to a local hospital where he was pronounced deceased. The subsequent investigation resulted in the arrests of Scott and Hotard. Scott has been charged with Second Degree Cruelty to Juveniles and Hotard has been charged with Cruelty to Juveniles. 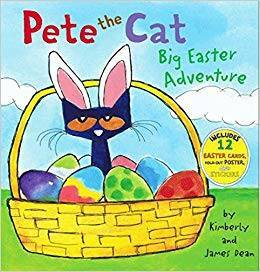 Pete the Cat and his Big Easter Adventure! Join the folks at the Franklinton Library on Saturday, April 13th @ 11:30 A.M. for Pete the Cat and his Big Easter Adventure! 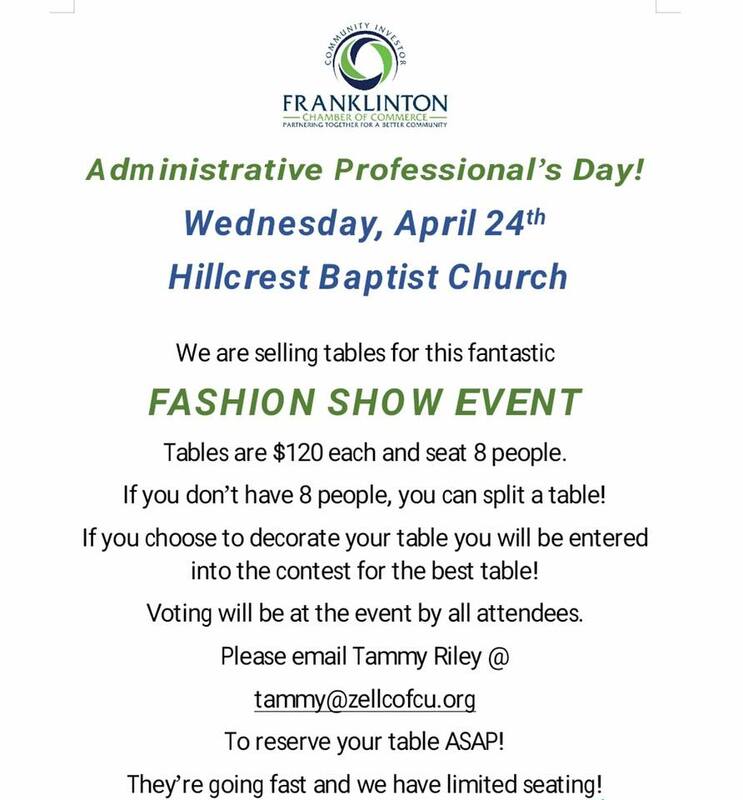 Snacks will be served along with a fun Easter activity! 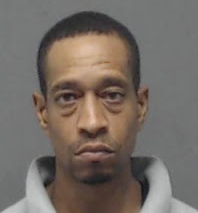 sentenced today (April 8, 2019) to spend the rest of his life in prison for shooting his estranged wife and her boyfriend to death in 2017. District Judge August Hand sentenced Magee to two consecutive life sentences. 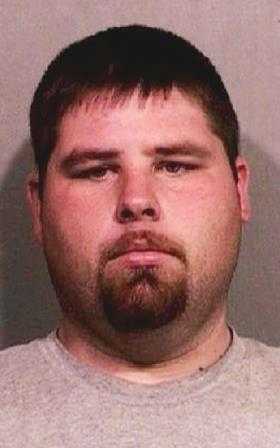 Magee was found guilty of two counts of first degree murder after a week-long trial in February. Magee and his former wife, Jennifer Wallace Magee (a 32-year-old nurse), had been separated for more than a year and were going through a divorce when the crime occurred on June 19, 2017. Jason Magee had spent that afternoon out with their two children, ages 6 and 8, and they were saying goodnight to their mother over the telephone in Magee’s truck when one of them asked to speak to her boyfriend. Magee grew enraged, drove the children to his parents’ home in Pearl River, and then drove a short distance away to Jennifer’s home. Magee kicked his way into the home and, as prosecutors described, executed both victims with “military precision” in one minute and 34 seconds. The jury rejected claims by Magee’s lawyers that he was acting in self defense after Gros pointed a gun at him and a scuffle broke out. Hammond after he shot at an 18-wheeler with a paintball gun. 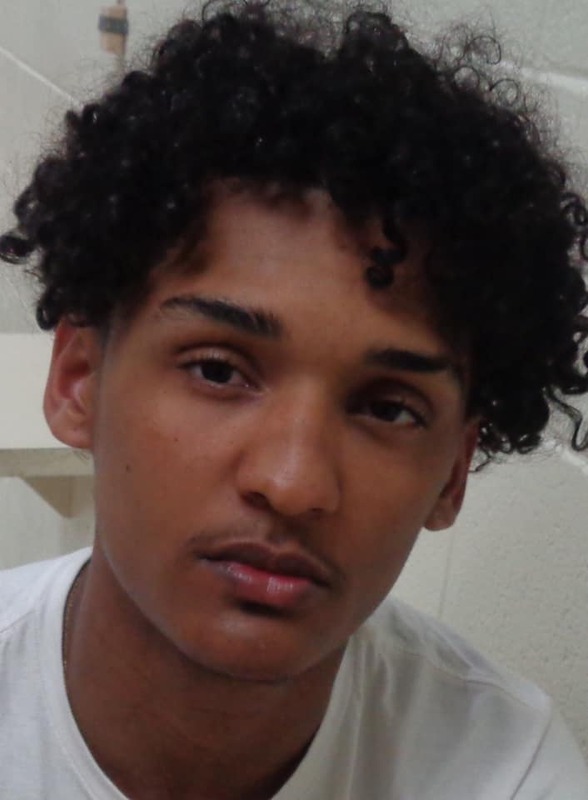 20-year-old Nicholas V. Scott of Hammond was arrested for various charges as a result of the incident which occurred on I-55 in St. John the Baptist Parish. The investigation reveals that a driver of an 18-wheeler traveling north on I-55 called LSP. The driver of the 18-wheeler stated that, as a gray Ford Mustang passed him, he noticed what appeared to be the barrel of a gun emerge from the passenger side window. The victim stated he then heard what sounded like multiple gun shots, and realized his vehicle was being struck. Troopers from Troop B and Troop L located the vehicle and discovered a paintball gun in the vehicle. Scott, a passenger in the Mustang, reportedly confessed to firing the paintball gun at the 18-wheeler on I-55. He was charged with Aggravated Assault and Simple Criminal Damage to Property. The victim, a 17-year-old from the Lacombe-area contacted the STPSO Saturday night to report he had been robbed at gunpoint after getting in the car with an acquaintance and another teenager. The victim told deputies he had contacted Bedford about a ride home. When Bedford picked up him up from a Mandeville-area residence, Wood was driving the vehicle. The two drove him to the area of 11th Street in Tammany Hills near Covington, where the victim believed the three were going to a party. Once at this location, Bedford produced a handgun and robbed the victim of his cellphone, wallet, watch, bag, shirt and shoes. Wood then struck the victim in the face with a closed fist, causing a laceration and a swollen left eye and told him to get out of the vehicle. Later that same night, Bedford reportedly posted photos on social media of Wood and himself with some of the stolen items. The investigation is ongoing and no additional information is available at this time. 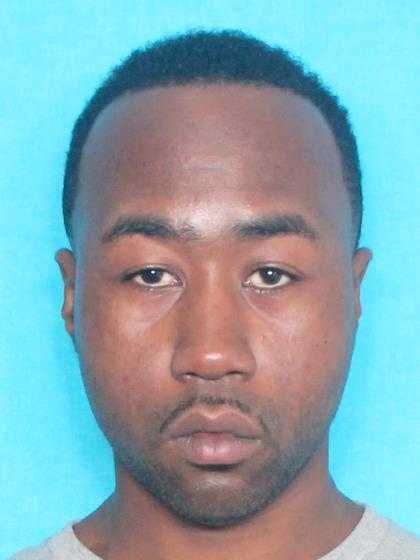 District Attorney Warren Montgomery reports that a Washington Parish jury found Demario G.
Warren (33) of Franklinton guilty Thursday (April 3) of manslaughter and two counts of aggravated assault with a firearm. 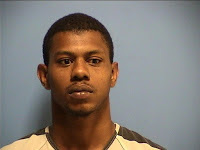 He faces up to 80 years in prison as a repeat offender when he is sentenced by District Judge William Burris on June 19. Warren fatally shot Kiniaki Williams (33) of Franklinton on May 31, 2016, at a Franklinton residence. Witnesses told Franklinton Police Department officers that Warren shot Williams and demanded to know where Williams kept his money. The witnesses said Warren also pointed the gun at them and threatened to kill them if they called police. The Washington Parish Sheriff's Office advises that three persons are now in custody who were wanted by the agency. 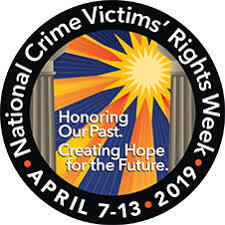 Kayla Elizabeth Johnson (38) was arrested yesterday (April 4, 2019) and LeDonna E. Coleman (48) was arrested today (April 5, 2019). Johnson and Coleman (both from Kentwood) were wanted on warrants accusing them with attempting to defraud Washington Parish businesses with counterfeit $100 bills. Each was booked on the charge of Criminal Conspiracy to Commit Monetary Instrument Abuse. Click here for the original story. Andra Cordell Tate (37) arrested yesterday (April 4, 2019). Tate was wanted on six outstanding felony arrest warrants following the search of a house where he was a resident. Tate was not present at the time of the search. Tate was booked on the charges of Convicted Felon in Possession of Firearm, Possession With Intent to Distribute Schedule 1 Drugs, Distribution of Schedule II Drugs (2 counts), Possession of Schedule II Drugs (2 counts), and Possession of Schedule IV Drugs. Click here for the original story. Slidell Police are releasing incredible surveillance footage of a violent gas station robbery, and are asking for your help identifying the man responsible. Shortly after midnight on Thursday (April 4, 2019), Slidell Police responded to a robbery of the Shell Gas Station at 1833 Old Spanish Trail in Slidell. A review of the surveillance video shows the suspect pull up to the store in a black Infinity SUV. The suspect violently batters the clerk, forcing her to open the cash register. The suspect takes the cash out of the register, as well as several packs of Kool cigarettes, and flees the store. 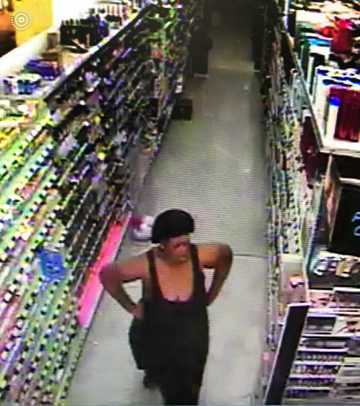 If you can identify this suspect, contact Detective Scott O'Shaughnessy at 985-646-4348. 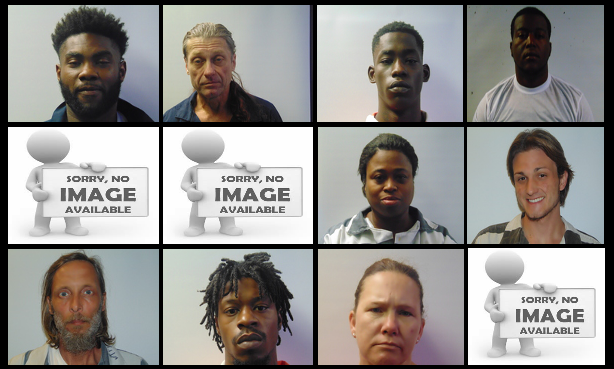 If you wish to remain anonymous, you can call Crimestoppers at 504-822-1111. 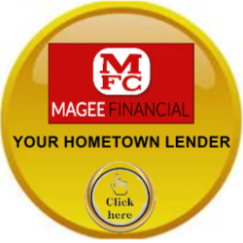 You may be eligible for a cash reward. District Attorney Warren Montgomery reports that a Washington Parish jury found Gregory S.
Stafford (25) of Franklinton guilty Tuesday (April 2, 2019) of aggravated obstruction of a highway. 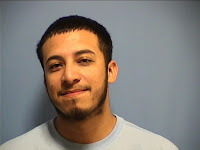 He was taken to jail and, as a multiple offender, faces up to 30 years in prison when he is sentenced April 9, 2019 by District Judge Peter Garcia. On December 13, 2018, Stafford was driving a pickup truck on Highway 436 in the Franklinton area when he rammed the back of his estranged wife’s car, pulled up next to her in the opposing lane of traffic, and then pulled into her lane of traffic to force her off the road into a ditch. Stafford then walked to the passenger side of the vehicle, took her phone, and removed the couple’s 10-month-old child from the vehicle. Stafford put the baby in his truck and drove off. into a Folsom area home shortly after midnight Monday morning (April 1, 2019) and robbed and pistol whipped a man. They told detectives the robbery was in retaliation after the man sold them bad drugs. Alexis Walker (18) of Madisonville and Kristopher Wild (22) of Covington are accused of forcing their way into a home on Doris Road near Folsom and pistol-whipping Sean Burns (27), robbing him of $15 cash and his cellphone. 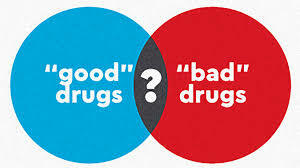 Burns reportedly had sold the two something that was supposedly methamphetamine just days prior. When they realized the drugs were fake, they hatched the scheme to rob Burns in retaliation. It was discovered during the investigation that Burns was wanted on an outstanding warrant for contempt of court on unrelated charges. 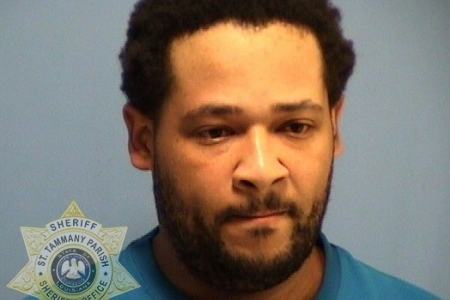 He was booked into the St. Tammany Parish Jail on April 3, 2019. The case is still under investigation and additional charges are possible. 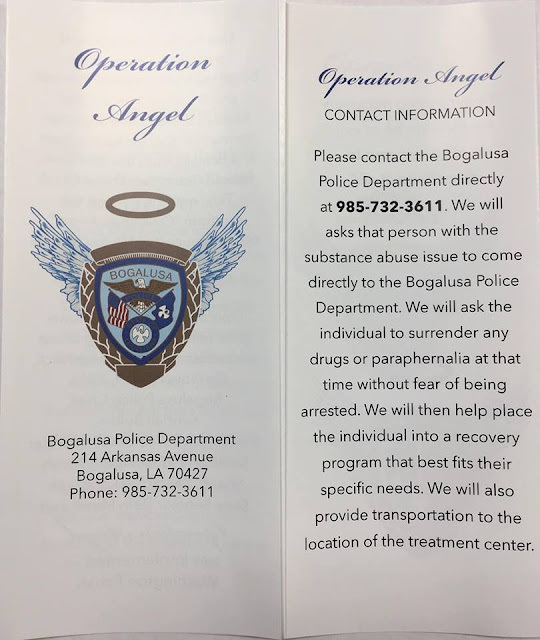 Mayor Wendy Perrette and Chief Kendall Bullen are proud to announce the Bogalusa Police Department was able to provide assistance through the Operation Angel program to its first candidate that was seeking assistance with an addiction to opiates. This individual was transported to the appropriate treatment facility where their road to recovery began. Anyone knowing an individual seeking assistance with an addiction, please contact the Bogalusa Police Department and inquire about the Operation Angel program. meeting on April 1st, many commented on the problem. As reported by Transportation Manager Donnell Merritt, 534 bags of garbage was picked up in March. Every month the report is about the same. Frankie Crosby reported on the cleanup day in Franklinton during which over 50 bags were picked up. But as soon as trash is picked up in an area, the trash is back! Why do people trash where they live? It takes such little effort to find a trash can or hold onto trash until we get home. 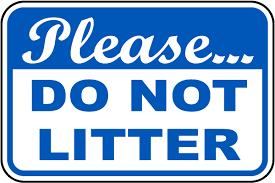 Unfortunately, tickets for littering are not being written and fines are not being levied. But we have to take pride in our communities. Only then will we see a difference. 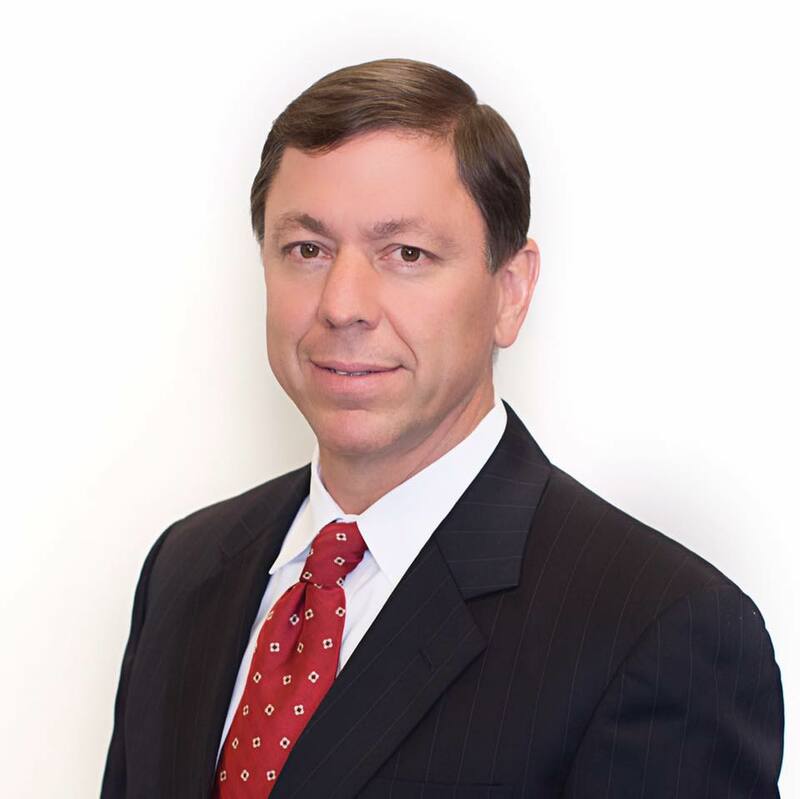 the Council passed three resolutions: one supplementing the "No Thru Truck Routes" ordinance, one opposing proposed legislation to transfer adminisstration and collection of local taxes to the Louisiana Department of Revenue, and one authorizing President Thomas to obtain special counsel for opiod-related recovery claims. Go our Government Meetings page to view video of the full meeting.